Wonder," the period of time between roughly Veterans Day and the first weekend of January, during which the parks are meticulously themed from head to toe in holiday array, we decided to go for a change of pace and check out the Disneyland resort during a traditionally quiet weekend, in our case the January weekend prior to MLK. 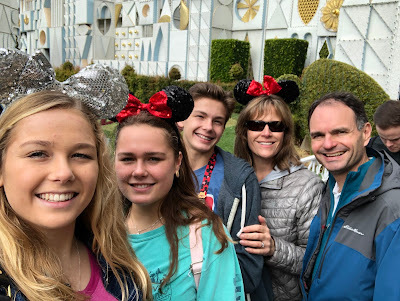 Lots to talk about in this blog..how this timing worked out and might work out for you, planning for and surviving your trip and what new things you might notice when you next visit the happiest place on earth. Don't quite know the best order and it all might seem a little garbled but here goes. Crowds--Well I have to say it seems there is never a time when Disneyland is not crowded, but there were definitely less crowds during this weekend. I can't say that the lines for the rides were any less-still plenty of times the stand by times for the favorites were well over 60 minutes-- but when it came to the ability to walk through the street without fear of being run over by a stroller or just generally swept away by a sea of people, or to do something as usually stressful as finding a good place to watch fireworks or Fantasmic, yeah it was quite a bit less crowded. During this time there is no parade--which is a godsend as gosh there is nothing worse than trying to get up or down or even cross Main Street while the whole street is blocked off and the curbs covered with spectators. The restaurants were full, but it was not impossible to get or change a reservation. Though Fast Pass did run out for rides like Matterhorn, Space Mountain, and "Indy," floods of people left both after the first showing of Fantasmic (9pm) and then again after Fireworks (9:30pm) so the stand by lines came down considerably in the hour before the park closed. Space Mountain was as little as 35 minutes. Now when do you see that? Fantasmic can be a stressful event at Disneyland, as you are forced to stand to hold your place at the end of a tiring day. Thanks to the light crowd, we strolled up to a very good spot just 15 minutes before the 10:30 pm show. My kids push me on a rigorous schedule (Can you believe my husband actually poops out and LEAVES me there??) and we try to leave no "ride wish" ungranted, but this time the second day we actually checked off our list and left the park before it closed--this has never happened. I found the lesser crowds to be quite an advantage. Refurbishment, etc.--Well, along with the smaller crowds come a few provisos; namely, construction, attractions dark or closed for refurbishment and fewer park hours. Ok I can probably start with the park hours because Disneyland was open from 8-11pm both days, SOOOO really one less hour on each day. No big deal. There is no parade. 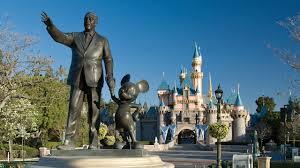 There is no night show at DCA at all. 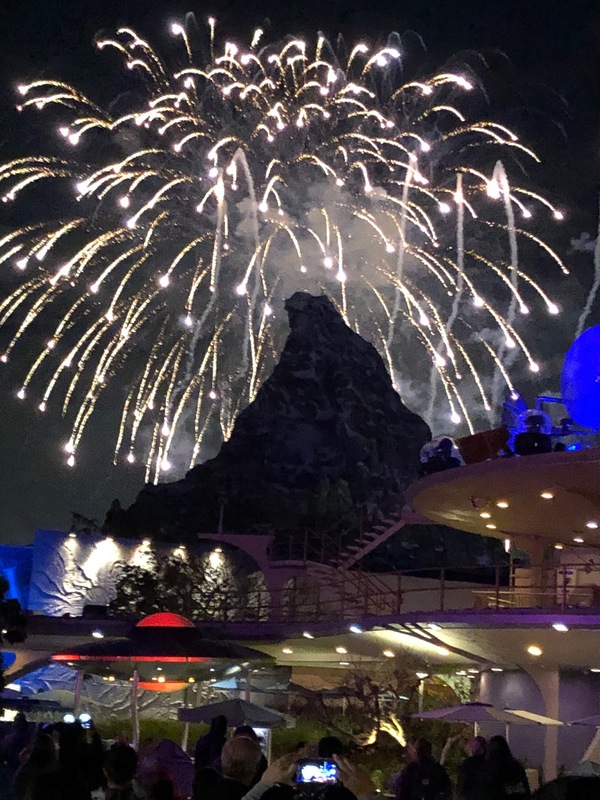 There are fireworks both nights at least on the weekend, but the 5-6 minute show is pretty lame by Disney standards. No 20 minute "Believe in Holiday Magic" with snowfall or "Happily Ever After" with castle projections and music in January! Haunted Mansion and Astro Orbiter were closed, as was Grizzly River Run. You couldn't walk through the castle. Really not too big of a deal. Weather--Well, I don't really see why this is any different in December versus January--but this time we got it--RAIN. It hardly ever rains in Southern California, but rain it did this weekend. It rained about two hours Saturday morning at a steady pour that one would want to avoid, even with umbrellas and proper rain gear, which we all had, and then again for some time near the dinner hour. As with any trip you take if you have half a brain, it is critical to watch the forecast carefully. We knew at least a week in advance that rain was in the forecast but would not be bad enough to cause us to cancel, which we considered. We used this link for the forecast. All in our family were required to carry collapsible umbrellas and ponchos. The Disney ponchos sold at the park are garbage and cost a fortune. I am much more partial to this little gem from REI. The only thing that is nearly unavoidable is getting your feet wet. Though it would have been helpful, it is not very practical to carry rainboots. The cold is a real thing too. The temperature did not get much above 62. We all wore jeans and long sleeve shirts and light weight down jackets pretty much the whole time were were there. I had mittens and a scarf and I was plenty pleased I had those as well. It was not unbearable but it certainly was not warm. My son insisted on Splash Mountain and we all obliged and after getting wet it was quite chilly. One thing is for sure, Disney fashion is a real thing. I could probably do a blog post on this subject alone. I would venture to guess that about 75% of the guests at Disneyland on any given day are wearing some type of Disney wear. It is hard to describe the variety--it's not all about watches and Mickey Mouse Tshirts anymore. I've seen ladies with adorable self created Snow White and Alice in Wonderland creations. 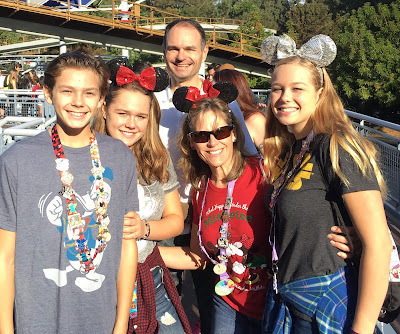 Plenty of families go the the custom T shirt route, think Disney Mom, Disney Dad, Disney Uncle, Grandma's B-day disney trip, etc. Little girls are dolled up straight from the Bibbidi-Bobbidi Boutique. Lots of Etsy and mall created Tshirts combine Starbucks and Disney, sports and Disney, or label members of couples as "Beauty" and "Beast." You get the point. People are into it. All my Disney clothes were T shirts, so I figured I wasn't wearing anything Disney this year besides my mouse ears. Just a few strolls through strategically placed stores and this usually thrifty GoFamily Mom had picked out a cute long sleeve jersey to wear the next day. 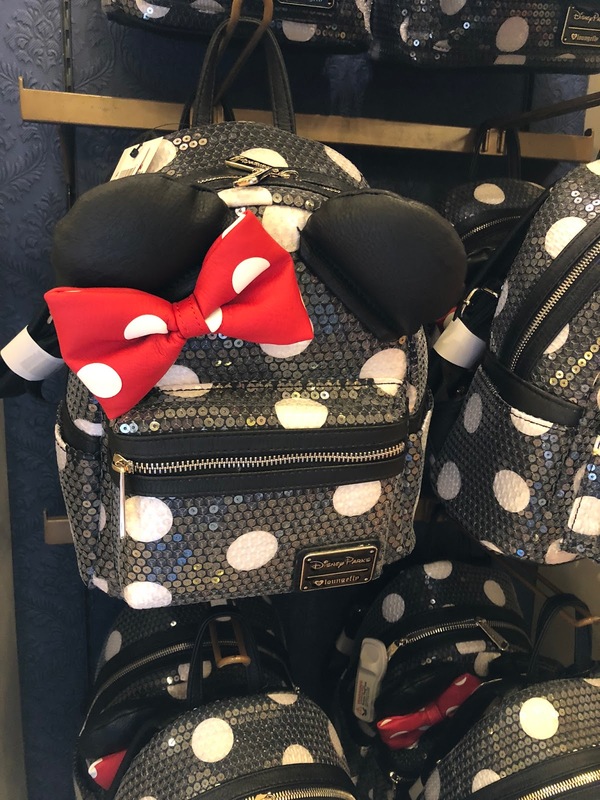 You can find any article of clothing you want, but the big three right now seem to be Mouse Ears, Jerseys, and mini backpacks. MOUSE EARS: Remember the $6.99 black plastic ears with your name embroidered on the back?? I honestly did not see a place you could get those and I didn't see anyone wearing them. Ear headbands are the big thing now and you can get whatever you want, silver, rose gold, Christmas colors, basic black with the red bow, the variety is endless. The latest colors are purple potion and millenial pink and they are popular, almost like people bought them that day! 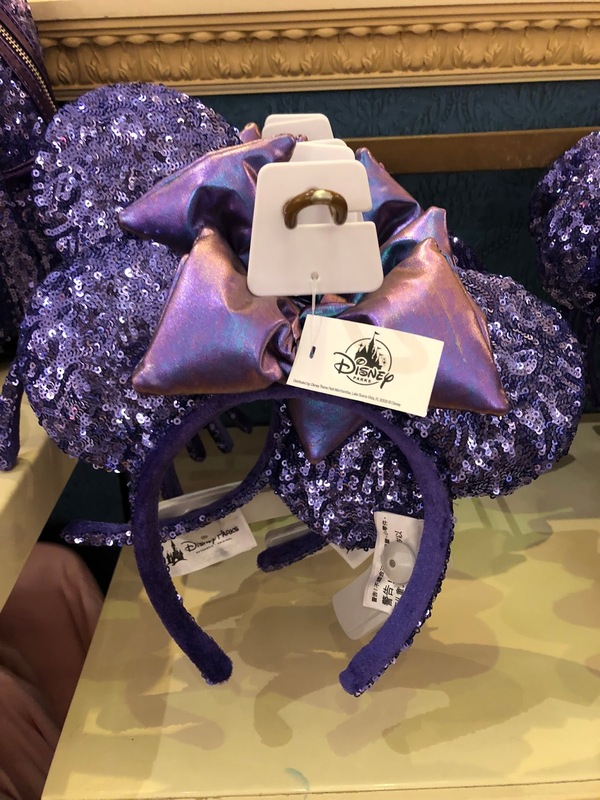 Mouse ears are adorable and everyone wears them--not so much the guys, but I hear in Tokyo Disney even the guys wear the headbands! These run about 28$ at the souvenir stores. A lot of people (including my daughter, who made Pooh, Peter Pan and Sully themed ears) make their own or order unique ears from craft sites such as Etsy. Anyway, ears aren't cheap and like where else do you wear them but they are a fun way to express yourself. I never go to Disneyland without my basic blacks! SPIRIT JERSEYS: The next thing in winter wear seems to be the long sleeved spirit jersey, available in both men and women's sizes in a variety of colors, including purple to match the purple potion ears you just bought. I don't know what is particularly "spirit" about these jerseys. It is basically an oversized long sleeved T shirt with the Disneyland logo across the back of the shoulders. Oh, maybe that's why they call it a jersey...hmm. Ok. Well yeah they are cute and all but they are 66$! At least you can wear it in public outside of Disneyland and not be committed to the looney bin...but you probably won't. MINI BACKPACKS: Well you want to talk about creative Disney wear? The Loungefly mini back is pretty much the mother of all Disney souvenirs now and many many a lady Disney fan, including my own daughter, was carrying a new Loungefly bag. Most are themed with subtle patterns and accessories specific to Star Wars, Belle, Alice, Mickey, Moana, Disney Villianesses, you name it. Some bags have bows or ears or other such appendages to make them specific to the character they represent. Not all patterns are available in the park at any specific time but there are about 50 varieties available on Amazon. I bought one for my daughter for Christmas and she met with plenty of admirers. The newest styles are bags covered in sequins in the popular purple potion or millenial pink with ears attached. Dang these bags are CUTE and hard to resist, BUT the top sellers are 90$. 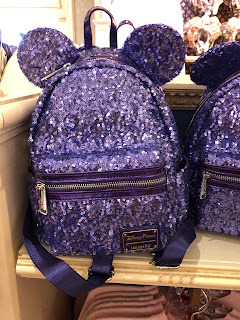 If you want one, I would say to pick one that's a bit more subtle, because a 90$ bag you can only use in the park is pretty much a waste of money. 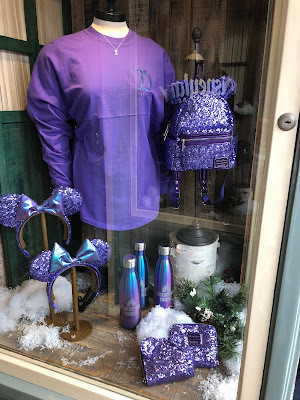 I kid you not I saw ladies with the Purple potion collection: ears, jersey and back pack. $184 plus tax. Disney fashion is an expensive venture! If ya want it all this is your ensemble!! Honestly, my son has 3 15$ Disney Tshirts from Target and another from a store in Hawaii. No need to go crazy and sell the house. But when in Rome, dress like a Roman!! 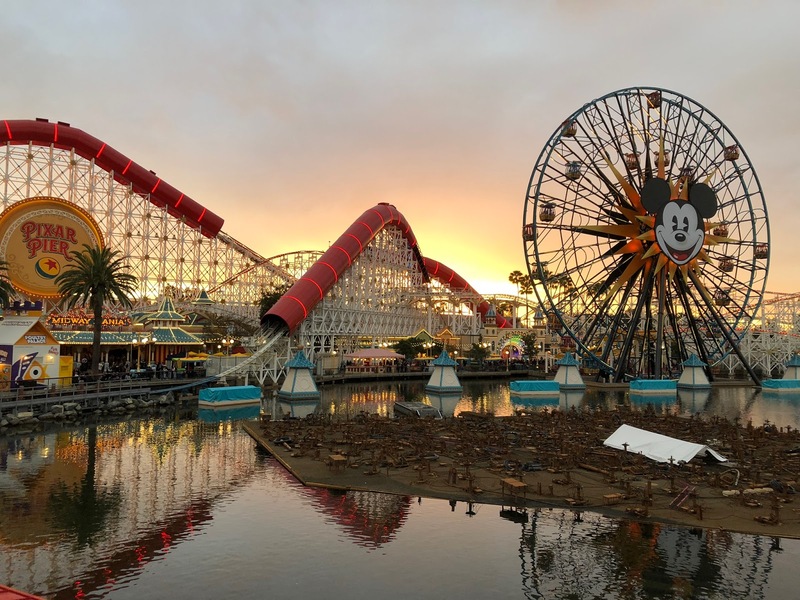 Well, Pixar Pier is new! It's not all that exciting but I would say the changes are fun and positive. 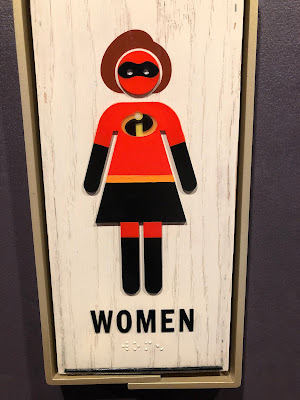 The old California Screaming now is called the Incredicoaster and has some Incredibles theming that my kids had to point out after I rode it for the second time. It's the same fabulous roller coaster and had me screaming and laughing my head off. A GREAT new restaurant, the Lamplight Cafe, replaced Ariel's Grotto. The Yelp reviews were not fab on this but I chalk this up to people expecting culinary masterpieces in the Disney Parks. The concept is original. The outdoor seating is more like bar seating than dinner seating. I loved sipping my yummy beer and eating my lobster nachos spread out on a little love seat while the sun descended over Pixar Pier. Super relaxing! My family shared Potato skins, the carne asada roll, the lobster nachos, and a couple sandwiches. 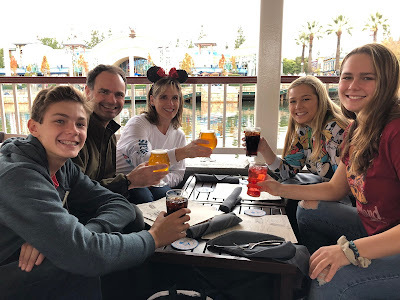 Sitting down and being served in a restaurant is a MUST in any Disney day we plan. Another plus to the Lamplight Cafe..no characters interrupting your meal. I would definitely come here again. Another first for us was eating dinner in the Storyteller's Cafe at the Grand Californian. It was raining and so cold outside, and what did Storyteller's Cafe have?? A fireplace!! Nice! Anyway, dinner at Storyteller's Cafe is a full buffet of good food, chicken chowder, mashed potatoes, mac and cheese, chicken adobo, and of course carved prime rib. There are oodles of desserts including a bowl full of scooped ice cream if you knew who to ask. Bomb. My son had two hot chocolates and another one to go. We all had coffee to go. Another dinner with no characters (breakfast has characters) and another plus of no characters is that your buffet costs less. Dinner here was $35. At Goofy's Kitchen it's $43. Okay just a few more cool tidbits in my very long post. 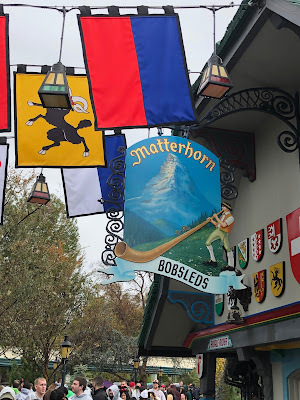 Matterhorn now has FastPass as does Small World. Matterhorn, Dumbo, and Space Mountain all made some queue changes. Small World was the only ride still decorated for Christmas in mid-January, which I enjoyed. A lot of the showrooms have additional lights, all LED now, and some added features which gave more to look at without looking cluttered. And last and least, Pirates of the Caribbean made the PC change we all new was coming For my comments on this I refer you to my blog post about Disney World from last year. That's it! Now let's enjoy some pictures!! Jackets, sweatshirts, and MOUSE EARS necessary! One year ago, but everyone in Disney gear! My son is in one of the Target Tshirts..
No Disney night is complete without fireworks! Go Temples Go. Enjoy every vacation as the kiddos are growing up fast!